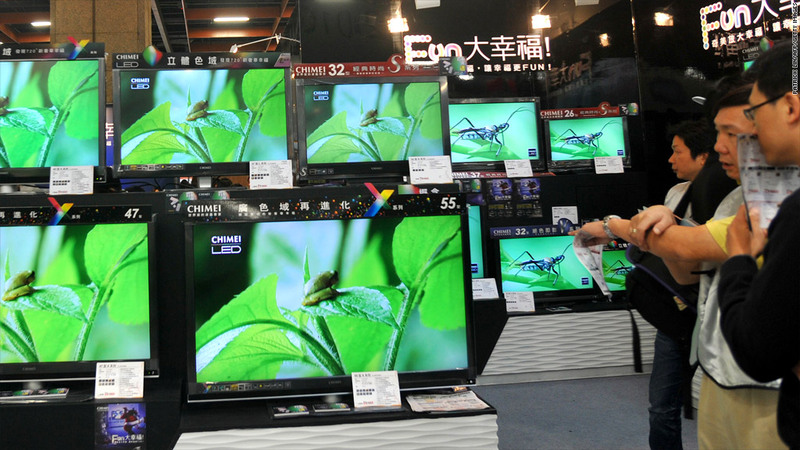 Shoppers look at flat-screen televisions at a trade fair in Taipei, Taiwan. A Taiwanese LCD screen maker was hit Thursday with a $500 million fine for price-fixing, a penalty that tied for the largest ever in an American antitrust case. A federal judge in San Francisco levied the fine against Taiwan's AU Optronics Corporation for its participation in a conspiracy with other companies to fix LCD prices. In addition, two former AU Optronics executives -- ex-president Hsuan Bin Chen and former executive vice president Hui Hsiung -- received three-year prison terms. "This long-running price-fixing conspiracy resulted in every family, school, business, charity and government agency who bought notebook computers, computer monitors and LCD televisions during the conspiracy [paying] more for these products," the Justice Department's Scott Hammond said in a statement. AU Optronics said it "regrets" the judgment and plans to lodge an appeal. "The trial demonstrates that there are certain important, yet unresolved, legal questions surrounding this matter," the company said in a statement. The ruling is the latest development in a long-running legal battle focusing on the years between 1999 and 2006, during which a group of Asian manufacturers and their U.S. affiliates conspired to artificially inflate LCD prices, prosecutors say. The Justice Department has collected fines totaling nearly $1.4 billion as part of the investigation, with 12 convictions of executives from the firms involved. By the end of the conspiracy in 2006, the global market for LCD panels was worth $70 billion, the department said. Among the firms affected were Apple (AAPL), Dell (DELL) and Hewlett-Packard (HPQ). The issue has sparked a series of class-action lawsuits and prosecution efforts at both the state and federal level. Firms including Hitachi, Sharp, Samsung, Toshiba and LG have reached settlements related to the allegations.